H. Lynn Erickson and Lois A. Lanning write in their instructional book Transitioning to concept-based curriculum and instruction, the need to never simply assume that students conceptual knowledge is developing in our inquiry units, but we must explicitly teach the concepts for deeper learning to occur. The same can be said for learning within global contexts. The MYP has a set of 6 global contexts for learning, they enable us to frame our conceptual understanding with meaningful contexts for learning. 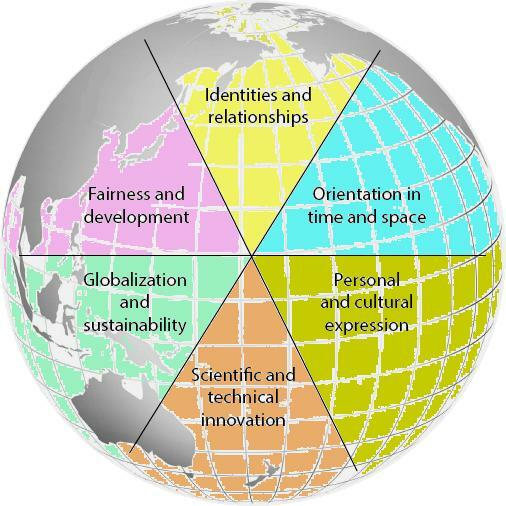 The global contexts – personal and cultural expression, identities and relationships, orientation in time and space, fairness and development, scientific and technical innovation and globalisation and sustainability – help us as MYP teachers to create relevant and engaging inquiry units. They give a deeper reason for learning and extend our students thinking even further than the concepts and content we teach. For our current Year 8 Language and literature unit – an in-depth novel study where we unpack the craft of the author, the features of a novel and we teach students how to deconstruct and analyse text – as a Year 8 team we decided to frame our conceptual understanding of characterisation, structure and development within the global context of Personal and cultural expression. The area of exploration we created within this global context is: Authors create a construct of reality for the reader that helps readers discover a different reality than their own. As we progressed throughout the inquiry unit the students knowledge and understanding of our concepts were developing and their ability to analyse and apply their learning to multiple familiar and unfamiliar situations was deepening, however, I could see their learning wasn’t exploring our global context area of exploration in depth. So I created a lesson where we explored even further just what a construct of reality is and how through this authors help us discover a different reality that our own. This was simply an unstructured creative space and critical thinking lesson where we brainstormed, reflected together and took time to think, pair, share around this area of exploration. Through students reflection on their own reality, the reality of those around them and also the constructs of reality that authors create they were able to articulate how this made them more caring as a person, as seeing through another’s eyes enables us understand others and therefore empathise with others. After this global context lesson we continued to deconstruct and analyse our class text, Chinese Cinderella, a powerful novel by Adeline Yen Mah and then compared this text to the heartwarming and endearing New Zealand film Boy, by Taika Waititi. 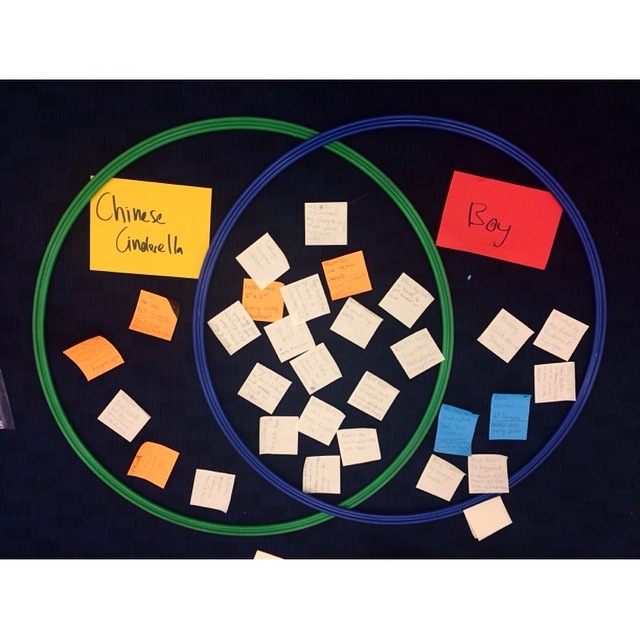 Students conducted a compare and contrast hula-hoop Venn Diagram of the beliefs, ideas and values represented in both the written and visual text. As a Year 8 team we then opened the learning right up to students simply responding to our conceptual and contextual learning through the medium of a TED-style Talk. My guidelines were simply that they organise their TED-style Talk coherently and structure their response in a TEEL style paragraph with deeper complexity than their essay from a previous unit this year. I was thrilled to see that only 4 out of my 27 students began their response from a content level, explaining the characters and how they were developed to have a connection with the reader. The remainder of my class developed a ‘big idea’ which they brainstormed in pairs and used this to engage and connect with their audience. They then went onto discuss how the creator of a text develops their characters or novel structure in order to make a connection with their audience and construct a reality for the reader that helps readers discover a different reality than their own. Two of my students decided to focus on the character of Boy, from the film Boy and how he starts off with this grand idea of who his father is. Boy firmly believes him to be a hero, however, his father is actually in the can for robbery. His father is released and returns home and Boy begins to build a tumultuous relationship with him. He soon realises that his father is not a hero, he is just a bumbling drop kick who is not willing to take on the responsibility of fatherhood. These two students brainstormed the idea of children having wild imaginations where they create constructs of reality, but if they have not got appropriate role models to channel their imagination in the right direction, when the construct of reality comes crashing down, it can have devastating consequences. They then set about taking this idea and placing place this into a TEEL structure TED-style Talk. Think of the monster under your bed. We have all experienced the fear of the monster hiding under our bed. This monster was a construct of our imagination and we believed this to be a construct of our reality. We have all had a construct of reality that never existed. Children create a construct of reality around their role models, however the actual reality may be very different. The emotional needs and the imagination of a child are so great that they need an impressive and positive role model to guide them. Children create a construct of reality around their role models, however the actual reality may be very different. For a young man to become an impressive man, he firstly needs to be impressed by an older role model. In the movie Boy, by Taika Waititi, Boy is in a constant battle with how he feels about his father, because his dad turns out to be a man who he did not imagine him to be. If a child is brought up not knowing their true reality, they will create a fake alternative, a new belief to make themselves happy. For example Boy creates a fake reality about his father who was there for him as a young child, but in actual fact was never there for him. At the start of the movie, Boy makes constant comments of how amazing his father is, like in the school scene where he tells the class of the great things he does, but as the plot progresses he begins to understand that none of it was actually real, he begins to grow resentful towards the real version of his father. Boy’s construct of reality crumbles, as he has to face and accept his father for who he really is. So as children grow they need to face their constructs of reality and need to understand that they don’t always exist, once they do this they can accept their real lives for how they are. And accept the people around them for how they truly are. However, as they are just children they need guidance and relationships with positive role models and family members to guide and help them accept their actual reality, because we have all had to realize that the monster under our bed was never there. For two 13-year-old boys this understanding of our global context area of exploration applied to their big idea of ‘constructs of imagination become constructs of reality’ is most profound. As this is a first draft their is still much to develop, but the transition point for organising their thoughts and using language effectively from this global context area of exploration, is a great start to demonstrate their ability to critically and creatively think. From this I’ve learnt that it is so important to plan for the explicit teaching of the global context selected for an inquiry unit. Create time for reflection on the global context and continuously seek opportunities to explicitly teach and engage students in exploring the global context. As students thinking is lifted beyond the content of our subject, we enable them to think more deeply about issues that are relevant to their lives. Creating learning experiences woven throughout our inquiry unit to explicitly explore the global context we have chosen, ensures it is truly a context for learning, not just a box ticked on our MYP inquiry unit planners. Global contexts do not just provide a meaningful context for learning, but they also steer students in the direction of social emotional growth and learning. The affective ATL skills we both explicitly and implicitly teach are buried within our global contexts and promote the holistic development of a child – the desire of all educators who have dedicated themselves to the learning and development of children.